This past week has been probably one of the ways I would least want to spend my third week in Japan. On Monday I went into school and gave a small introduction speech in front of the entire school– all 684 students in the overheating gym. It was incredibly painful, both physically and emotionally. First, I tried not to limp, which was a problem because I definitely needed to limp with my fresh stitches. Then I had to introduce myself using both English and Japanese, but clever as I am, I wanted to try and make some sort of joke. I think I actually did OK, but I probably sounded like an idiot. Anyway, by the time I bowed and got off the stage my shirt was soaked through, my mind was exploding, and I was probably bleeding through all my bandages. I took next two days off, and then there was a Japanese holiday for the rest of the week. Apart from the fact that I’m still getting settled into my apartment, it was probably one of the worst weekends to miss in Japan. It seems like every night there was some type of fireworks festival going on. Very tempting, but in the end completely not doable with my limping abilities. Instead I was stuck to Miyazaki films and Friends marathons while I lied on my futon cursing my luck. In the end it was probably a good thing since (after visiting the hospital three more times to get my foot still without health insurance) I am down to my last 2,000 yen. 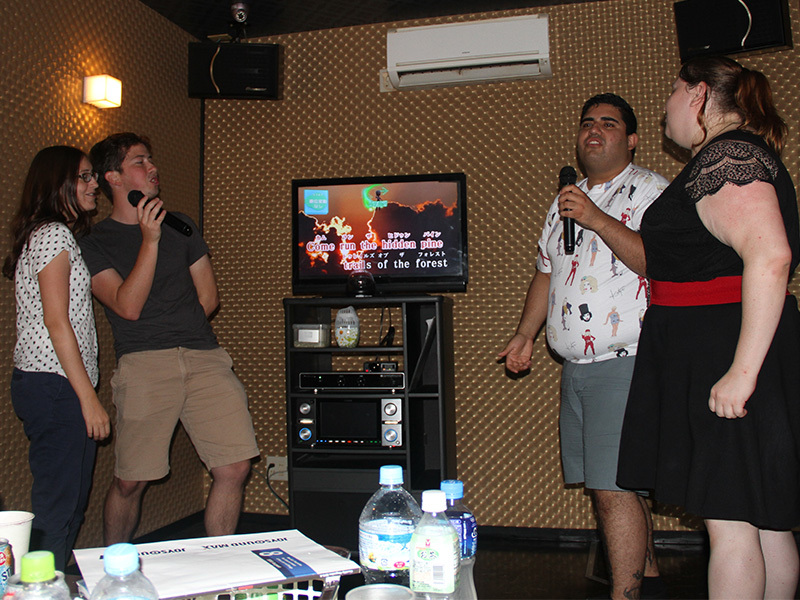 I did actually have some fun Wednesday night going out to perhaps the cheapest Karaoke I’ll ever find, and singing my heart out with a group of other ALTs, former JETs, and friends. We ended on Miley Cyrus’ Party in the USA, which only seems most appropriate. 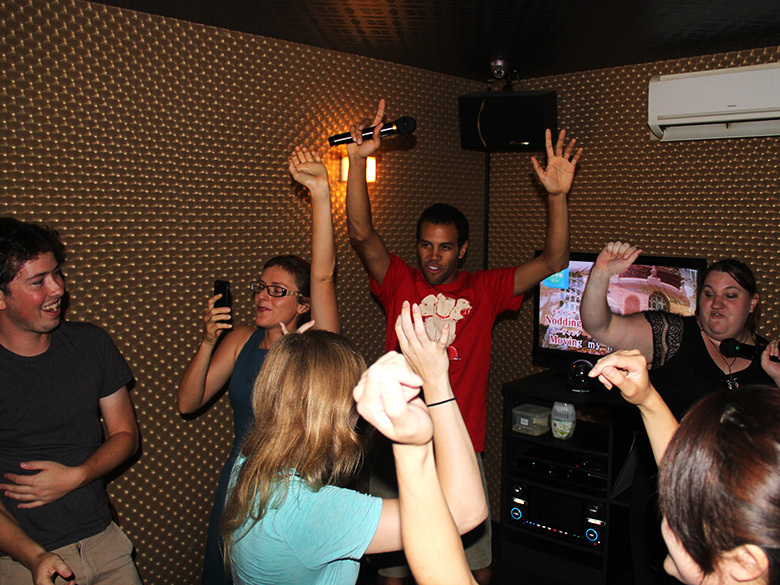 It’s weird, the Karaoke was so cheap because it was BYOB, and even though I only brought a conbini mixed drink (like a 9% Mike’s Hard) and a smoothie version of that which came in a pouch I felt a deeper sense of buzz. Definitely helped that on the way back we stopped at another conbini and I got some sort of phylo chocolate baklava desert and karage chicken. Not a bad highlight for the week. Posted in Karaoke.Tagged karaoke, relax.